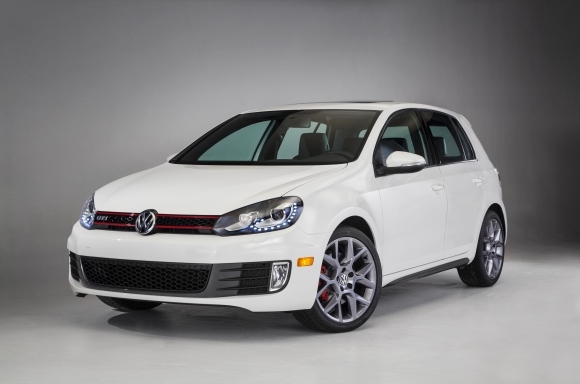 Opening with an MSRP of $25,095, the award-winning 2014 GTI is offered in two trims: the well-equipped Wolfsburg Edition and fully loaded Driver’s Edition. Both dynamic editions are offered in four-door form, powered by an advanced 2.0-liter 16-valve turbocharged and direct-injection TSI® four-cylinder engine matched to an available six-speed manual or six-speed DSG® dual-clutch automatic transmission. 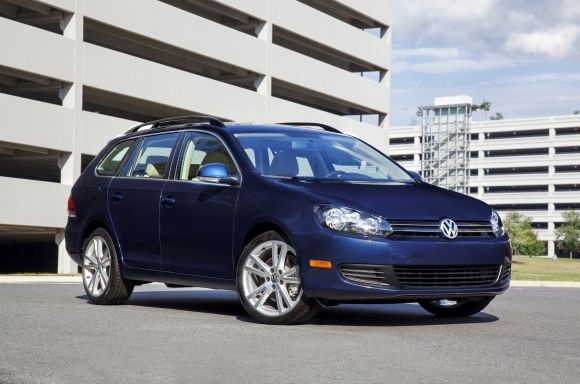 The 2014 Jetta SportWagen, with a starting MSRP of $20,995, is celebrated for its versatility. It is available with two powertrains: a 2.5-liter inline five-cylinder gasoline engine that produces 170 horsepower and 177 pound-feet of torque and the highly-acclaimed 2.0-liter four-cylinder TDI® Clean Diesel engine, which produces 140 horsepower and offers 236 lb-ft of torque. Both engines are paired with a six-speed manual transmission as standard. Buyers of the 2.5-liter engine can opt for a six-speed automatic, while the TDI has an optional six-speed DSG transmission. When paired with the manual transmission, the TDI engine can return an EPA-estimated 42 mpg on the highway. U.S. News considered 225 cars for the Best Cars for the Money awards. The Best Cars for the Money methodology combines quality and value data into a composite score. Within each of 21 categories, the vehicle with the highest score is named the Best Car for the Money in that category. Quality is measured by the overall score a vehicle achieved in the U.S. News car rankings at the time the awards are published. Value is measured by a combination of a vehicle’s five-year total cost of ownership and the average price paid for the vehicle at the time the awards are published. Founded in 1955, Volkswagen of America, Inc., an operating unit of Volkswagen Group of America, Inc. (VWoA) is headquartered in Herndon, Virginia. It is a subsidiary of Volkswagen AG, headquartered in Wolfsburg, Germany. VWoA’s operations in the United States include research and development, parts and vehicle processing, parts distribution centers, sales, marketing and service offices, financial service centers, and its state-of-the-art manufacturing facility in Chattanooga, Tennessee. The Volkswagen Group is one of the world's largest producers of passenger cars and Europe's largest automaker. VWoA sells the Beetle, Beetle Convertible, Eos, Golf, GTI, Jetta, Jetta SportWagen, Passat, CC, Tiguan, and Touareg vehicles through approximately 640 independent U.S. dealers. Visit Volkswagen of America online at www.vw.com or media.vw.com to learn more.